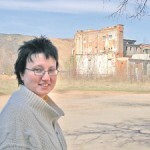 Writer and artist, née Tereza Jandová, winner of the Josef Škvorecký Award and the Czech Book Award, nominated for the Magnesia Litera and the Jiří Orten Award. She was born on 23 September 1979 in Plzeň. She studied psychology, media studies and Czech studies. Katalpa does not directly describe either the events of the war or the resettlement. She incorporates the greater history into specific micro-stories in the manner of a branching epic: every character who appears in the novel is introduced to the scene with the care of a chronicler and fully spotlighted, as if at that moment everything else was unimportant. 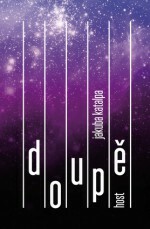 Her first novel, Je hlína k snědku? (Is Soil for Eating?, Paseka, 2006), tells the story of young Nina through the original format of short, clipped chapters, each of which is set in a different time. Although we are looking into the history of her family, the focal point is in fact the main character’s search for identity, in alternating between her husband, male lover and female lover. Critics were impressed as the novella drifted between eroticism, self-irony and gentle humour. The following year the book was nominated for the Magnesia Litera in the category discovery of the year. 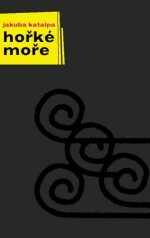 Her following novel, Hořké moře (The Bitter Sea, Paseka, 2008) is narrated by three women. The flow of their memories, visions and archetypal story is contained in a clutter of strong images, which frame the book only in rough outlines. It is possible to read it as a story or as a dream. In 2009 Katapla’s The Bitter Sea was nominated for the Jiří Orten Award. She then worked on the manuscript for the book Němci (Germans), which was published by Horst in 2012 and became her most popular work to date. She received the Josef Škvorecký Award and the Czech Book Award, which guaranteed that her book would be translated into several European languages. The story returns to the events of the Second World War and is thematically similar to Kateřina Tučková’s Vyhnání Gerty Schnirch (The Expulsion of Gerta Schnirch) and Hana Androniková’s Zvuk slunečních hodin (The Sound of the Sundial). Němci is exceptionally readable. Katalpa deliberately avoided using an experimental approach as she had done in her previous books, but instead concentrated on a traditional style of narrative. At the centre is the story of a German girl called Klára, who is a teacher during the war in the Sudeten village of Rza. Strong women have featured throughout the author’s works regardless of style. The story of Klára’s life is being investigated by her granddaughter, the daughter of Klára’s son, who she left behind in Prague shortly after the war, never to see him again, although during the entire forty years of communist rule she sent him and his family parcels full of sweets and gifts. Although Czech-German relationships, the war and totalitarianism in Europe over the past century have been well-covered subjects, few people have been able to produce such a sensitive personal story, which not only acts as an outline for a colouring book of history, but as a credible and important chronicle. 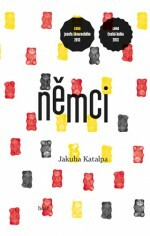 Němci has been published (partly thanks to the Czech Book Award) in Germany, Slovenia, Bulgaria and Macedonia.